If weapons are a part of your martial art your regime must incorporate command, mastery and retention exercises with realistically weighted training weapons. Once your retention and command of the weapon are sufficient to insure safety, regular sessions with live weapons are essential. In short, you need to be out there hacking stuff to bits, not pretending to hack stuff to bits. Here’s a short video on command, mastery and retention for beginners. 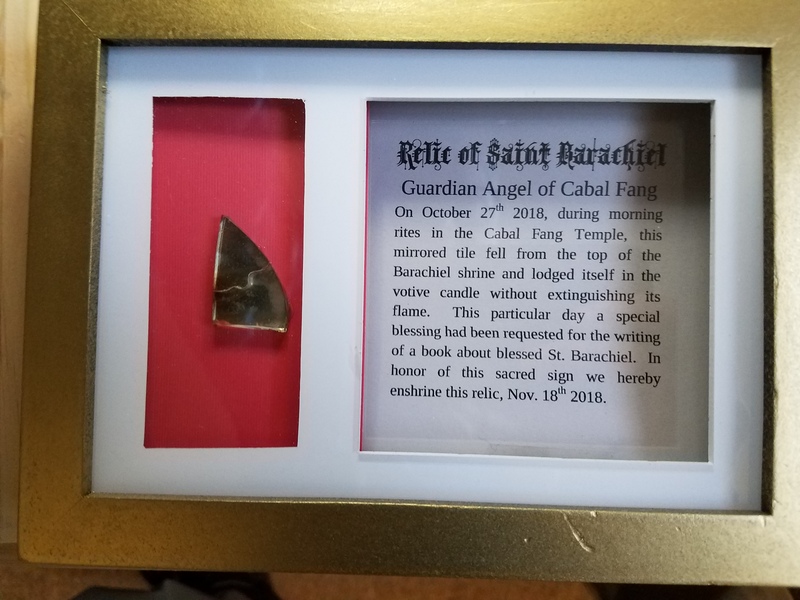 I made this for my Bobcat Martial Arts program where I teach Frontier Rough and Tumble, which includes Bowie and tomahawk, but it’s useful regardless of what weapon you use. If you are training only with lightweight weapons and/or not actually hitting things you are doing interpretive dance, not martial arts. This month’s T.I. is a direct-to-video release. Dig in. Yesterday I received my custom-made knife from Kenny Hermsen. 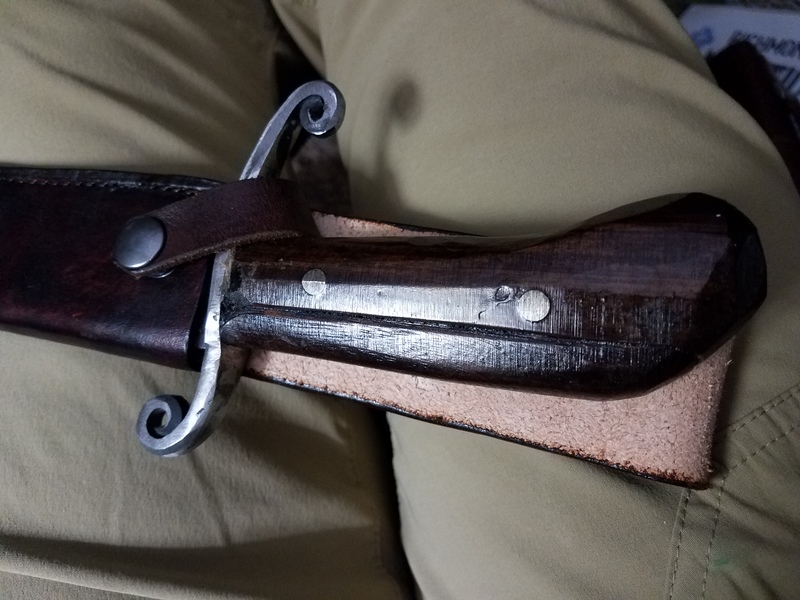 Kenny owns and operates Meherrin River Forge & Knifeworks in South Hill, VA.
For under $200 I received a locally made knife, manufactured to my specifications by a true artisan. 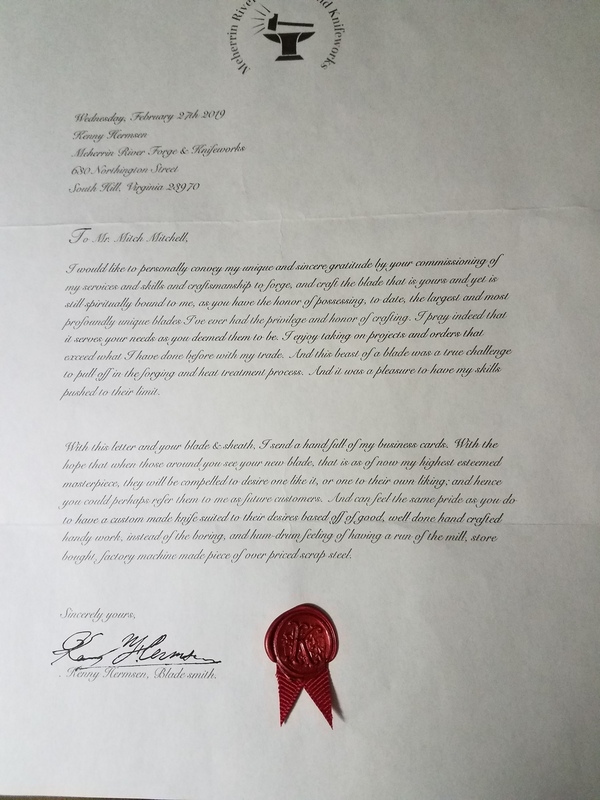 It also came with a lovely letter sealed with wax, which appeals to my old-fashioned sensibilities more than Kenny could possibly have known. As it turns out, Kenny and I have a little bit in common. 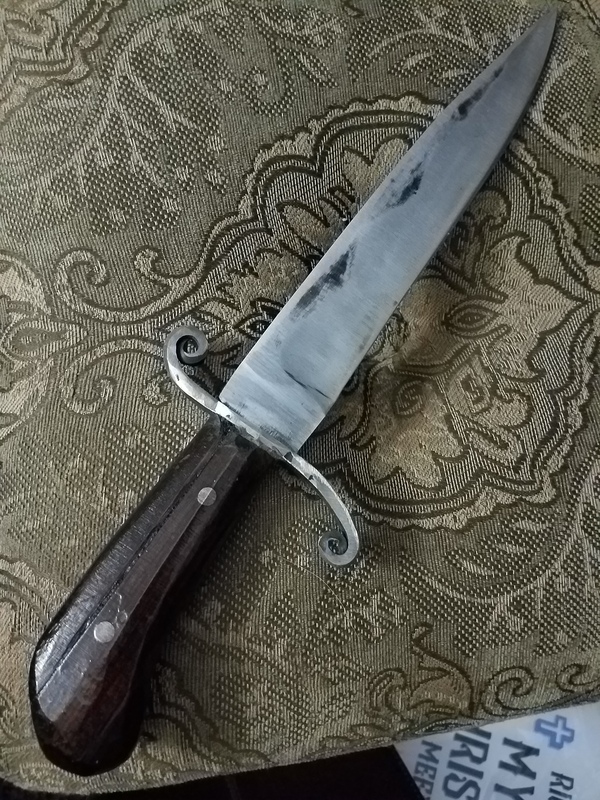 This big, elegant, razor sharp beauty is a rugged, period-influenced Bowie with a blade just shy of 10″ — and she is now my silent training partner. As many of you already know, in addition to my non-profit Cabal Fang Martial Arts program, I am now also operating Bobcat Martial Arts, a Frontier Rough & Tumble martial arts and Walking Stick self-defense school. 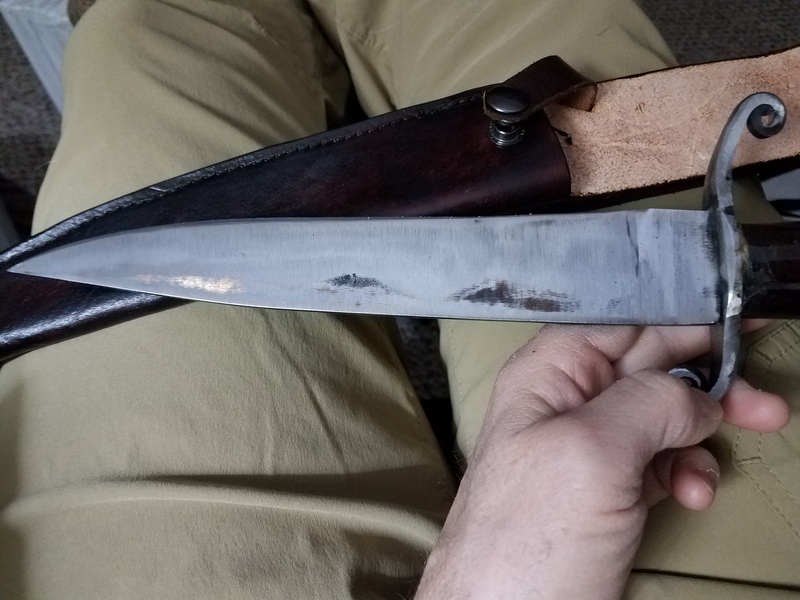 So the knife Kenny made for me is fixin’ to get put through her paces real soon. And based on the feel of her, she’s going to make short work of whatever she comes up against. 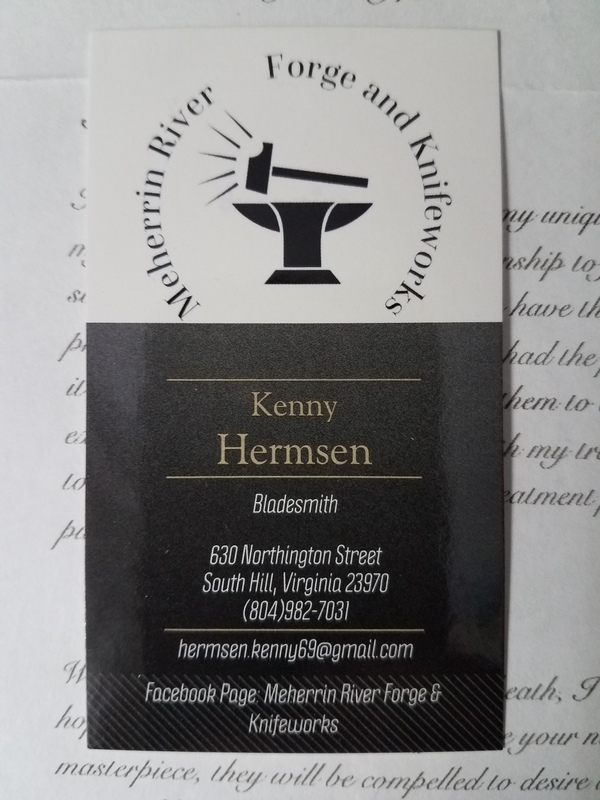 If you have need of a blade, large or small, send Kenny a message through his Facebook page. If you want the free content ya gotta put up with the occasional commercial. Don’t complain — I don’t run nearly as many as broadcast TV or cable news networks do! If you like what I do, you might like some of the stuff I’m selling over at Mitch’s General Store. I’m selling a grab-bag of stuff — some of my paintings, one-on-one training sessions, seminars, all kinds of stuff. Check it out. Or, if you want the extra special patron-only content, support me on Patreon and get immediate access — plus all kinds of perks!